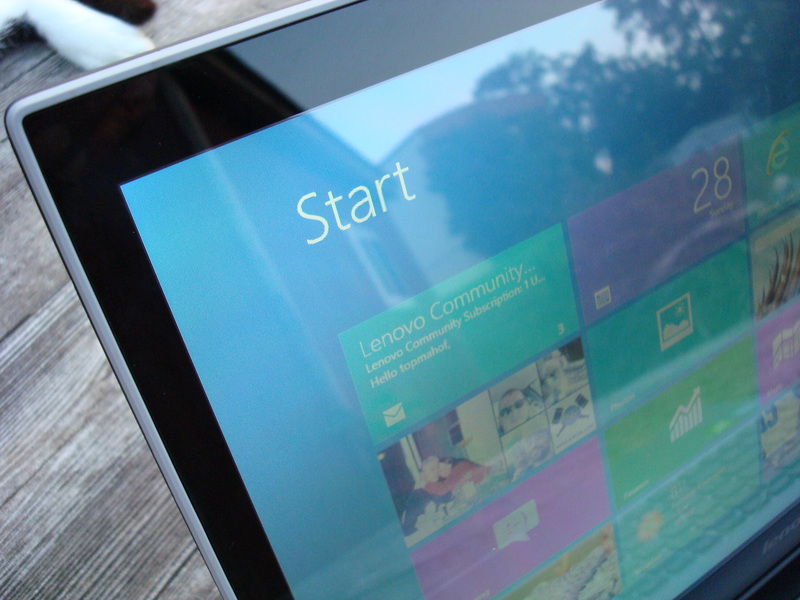 At first glance, the Lenovo IdeaPad Z500 Touch doesn’t look like anything out of the ordinary. It has a large form factor and it has a little weight to it. But, this laptop has a few things up its sleeve that lets it get the job done whether it is gaming, coding, video editing, or just about whatever you throw at it, plus it has the added benefit of having a full 10 point touch screen. It should be said up front that this machine doesn’t have Intel’s just released new processor. 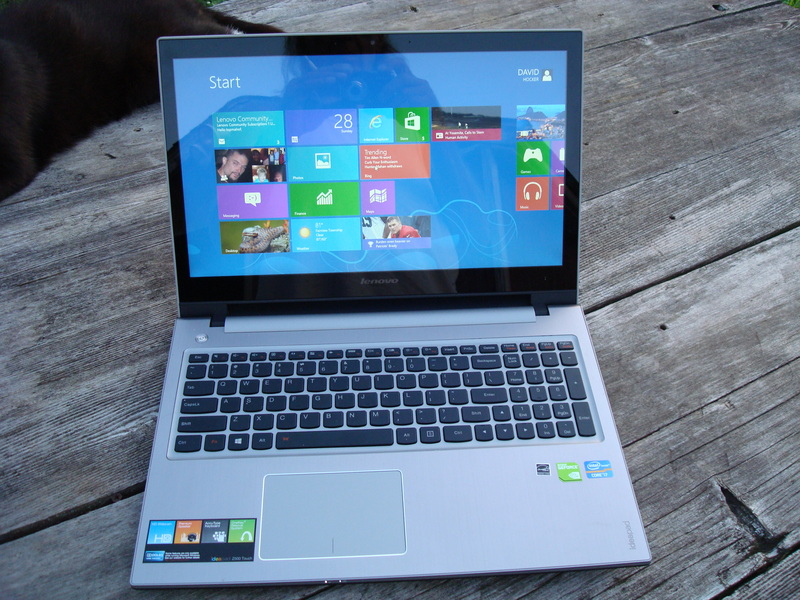 It has a third generation processor, the Core i7-3632QN Ivy Bridge, and it has some very nice features. It also has another trick to it, discrete switchable graphics. So, it’s up against other machines with the same specs. except that the Z500 won’t break your pocketbook. 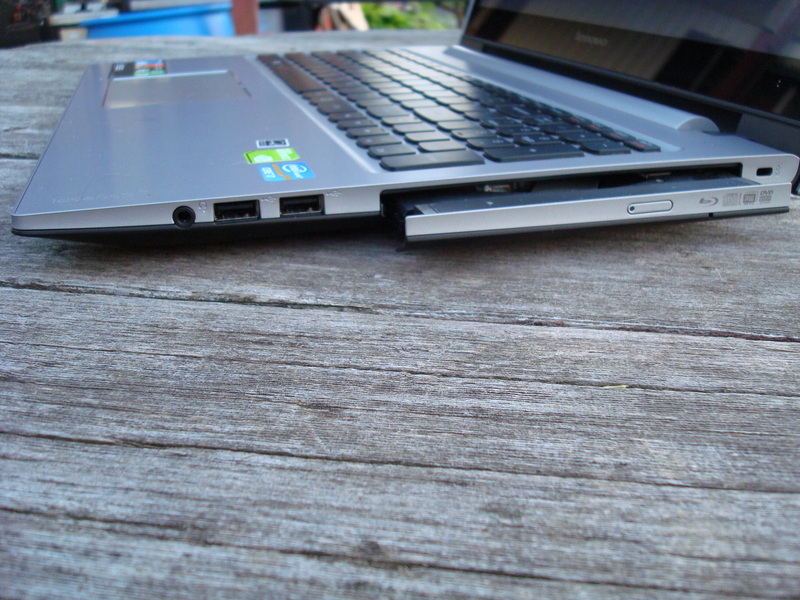 The price tag isn’t big like you would think with a laptop with these kinds of features. The i7 model will set you back about $1099.00 US. True to form, the styling is a bit sober, no shiny chrome edges and no shiny surfaces. 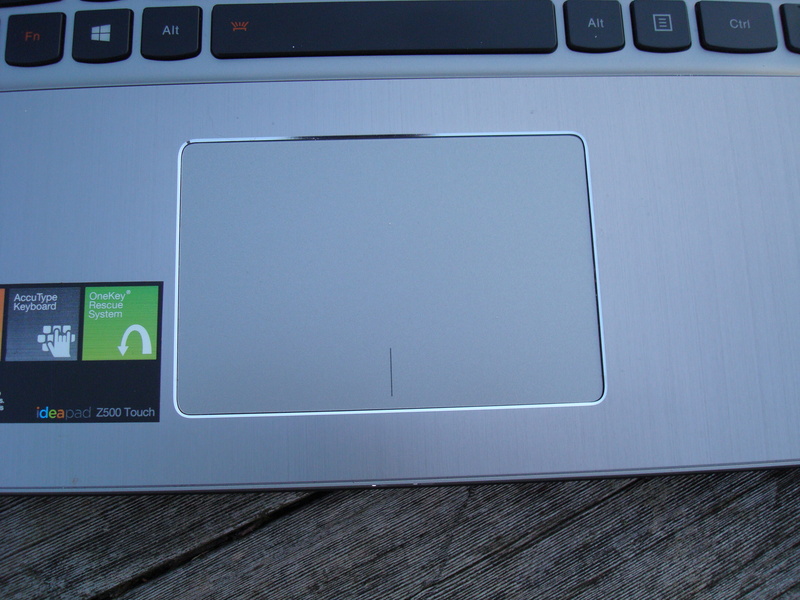 Anybody who has had to clean fingerprints and smudges off of the lid and palmrest area will appreciate the styling. This comes with the Accutype Keyboard. Key placement is good and the keys that I use a lot are a bit bigger than the rest. This machine didn’t come with a backlit keyboard and I would have liked to see the numbers a bit brighter white than they are. Just looking at this, you wouldn’t think that there would be anything special under the hood. The surprises are that it has a quad-core chip with a frequency of 2.2Ghz and only has a thermal envelope of 35W. It also packs an Nvidia GeForce GT 740M which is from the most recent Nvidia chips. The GPU has 2GB of DDR3 RAM and it has a core operating frequency of 980Mhz, so it’s no slouch in the graphics department. All this is coupled with a 1366 x 768 screen, which doesn’t seem very great considering the prevalence of 1080p screens around, but there’s a good reason for it. You won’t be playing all the latest games at the highest settings, but lower those settings down just a bit and you can get very good frame rates. So, the graphics system is paired fairly well with the lower resolution screen. Left to right viewing angles are fine, vertical angles are fine when viewing normally. Outside viewing on the glossy screen is fine in the shade and in low light, it’s a little hard to see in bright sunlight, but still viewable. Lenovo includes a nice variety of ports with this machine, Ethernet and wireless, Bluetooth 4.0, 2 USB 2.0 ports, 1 USB 3.0, HDMI, a card reader. a combo headphone and mic port and a DVD dual-layer burner. The sizeable 1TB 5,400 rpm hard drive provides plenty of storage. The speed of the machine covers the slower hard drive fairly well. The four core processor supports multi-threading, so it offers 8 threads. More and more software makers are making software that supports multi-threading, so this machine should stay right up there on top of the heap. There’s a nice selection of software that goes along with this package, Cyberlink YouCam, Lenovo Energy Management with a dedusting button, OneKey Theater, Power2Go, PowerDVD, OneKey Recovery and more. Three hours battery life for a machine of this size and power viewing 720p videos isn’t too bad in my opinion. The machine at just shy of 6 lbs. isn’t totally portable, but I’ve been taking it back and forth to work and the weight is just a slight inconvenience. You can game with this machine and go slogging through Windows along with doing your daily mundane tasks without missing a beat. And do it with a touchscreen. 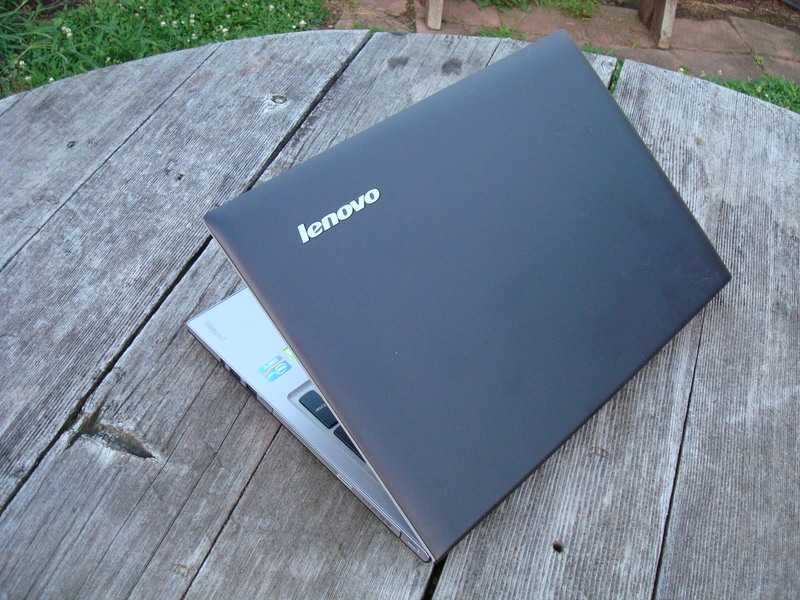 This is a well-built sturdy laptop with very good specs.